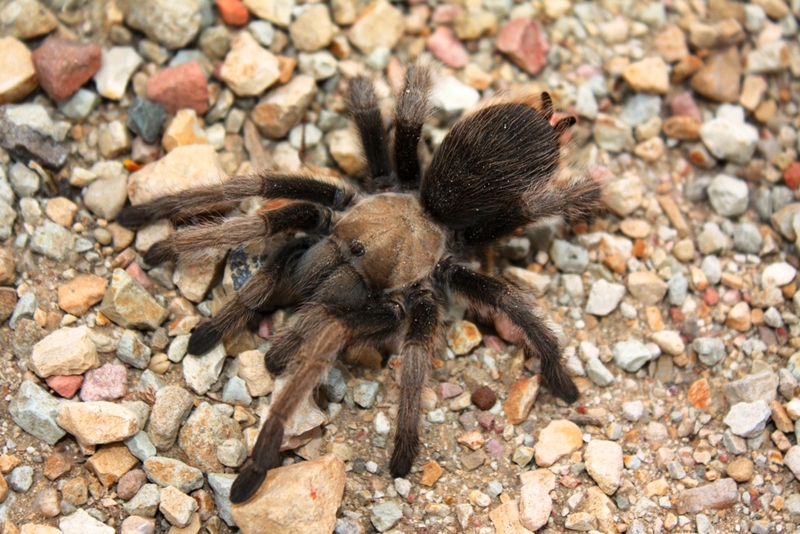 In fall, male tarantulas roam the Santa Barbara County countryside in search of mates. It is sometimes called a tarantula migration due to the large number of individual spiders that can be seen crawling around. Figueroa Mountain Road in October is typically an excellent place and time to see tarantulas during their annual mating romp. This entry was posted in Santa Barbara and tagged Tarantula, Whiskey, Whisky. Bookmark the permalink.